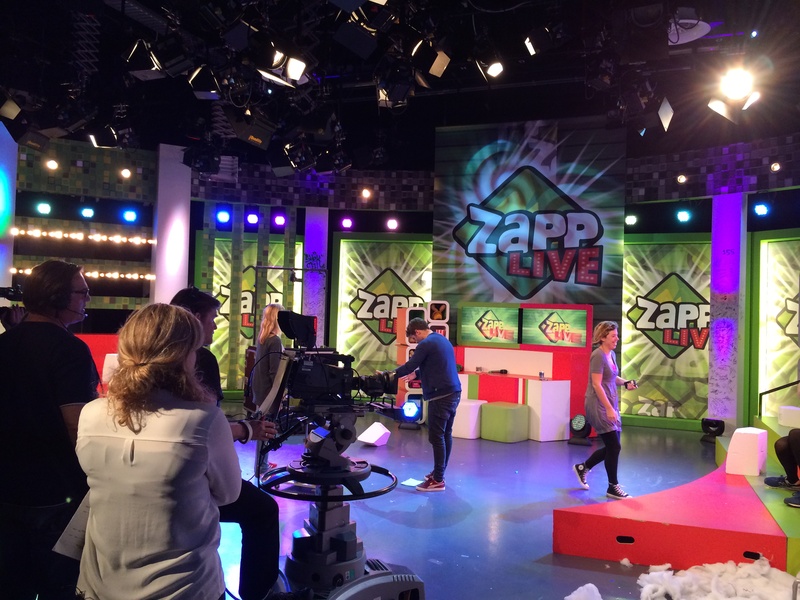 An item on social robots at ZappLive, Michiel Joose joined and thanks to him the robots worked seamlessly once again! Person and Robot, A happy Marriage…? 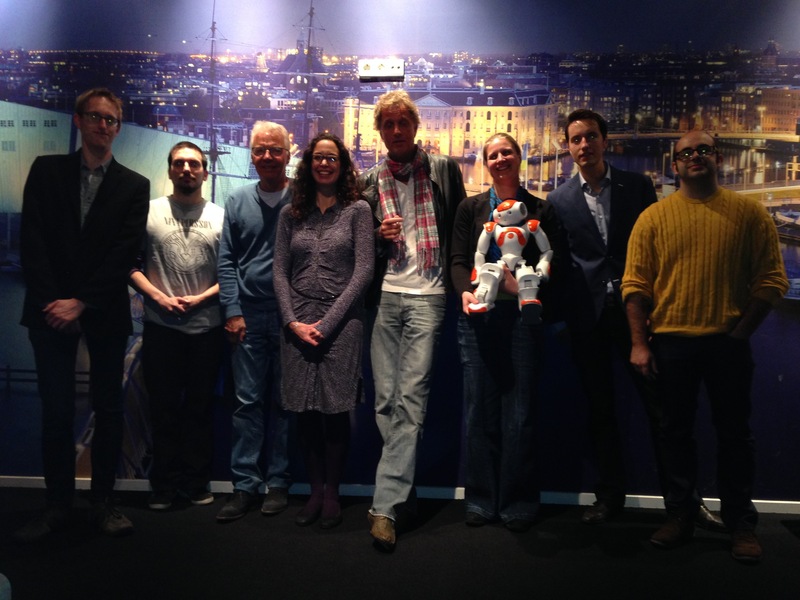 Daphne Karreman, Michiel Joosse and Jan Broenink as well as our King and our campusrobot present! 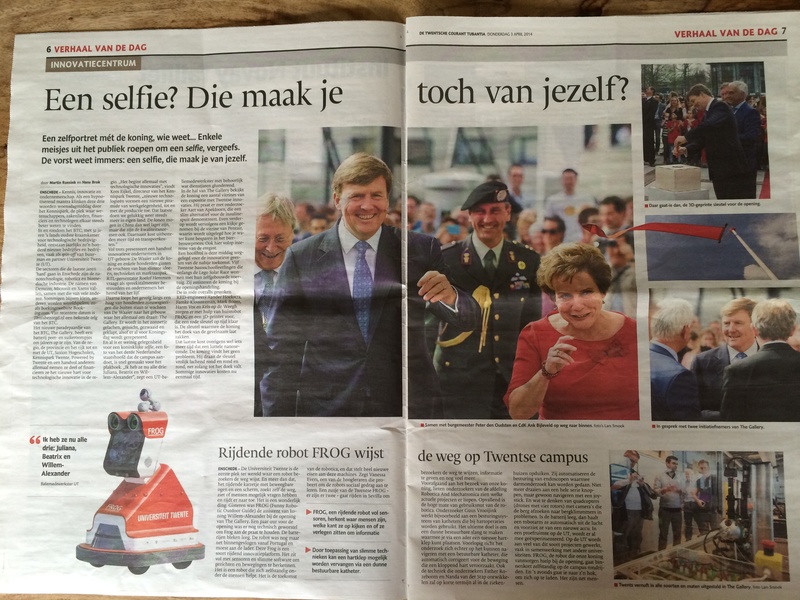 Here is an article in the Parool, a Dutch (I guess kind of populist) Newspaper. 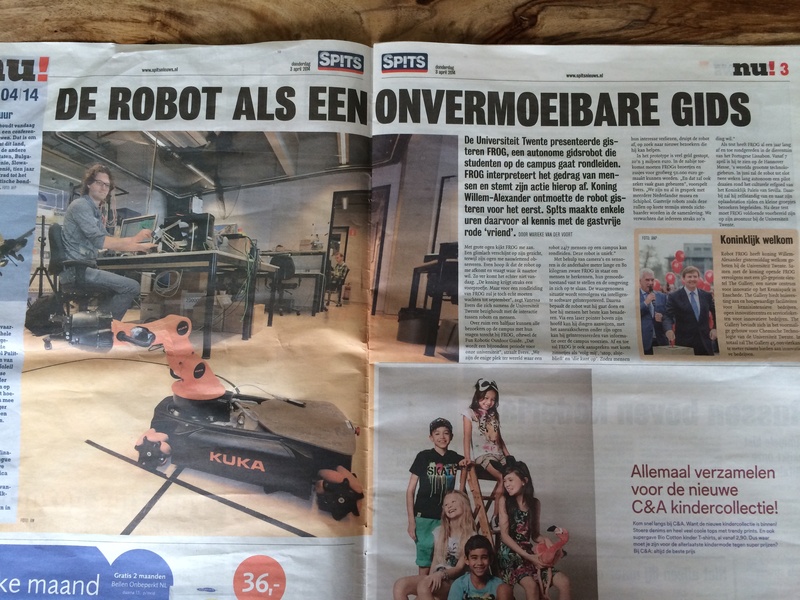 It concerns a response to the comments of our Minister of social affairs and employment, Lodewijk Asscher who warned that robots may be taking in jobs. Here’s the full article in the Volkskrant of 11 January 2014, in Dutch..
Thursday 4 April, I was on the late night show “Pauw en Witteman“, not alone of course, other guests included Mart Smeets (a sportswriter) and Jan Kees de Jager (ex-minister of Finance). 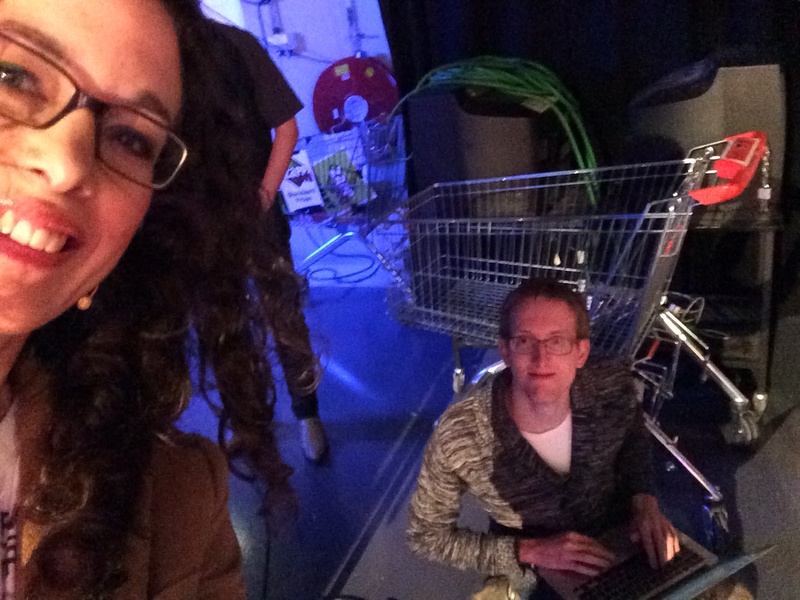 Michiel Joosse, Daphne Karreman, Roelof de Vries and Joao Freire helped me with all the technology. The whole show, Just my part. 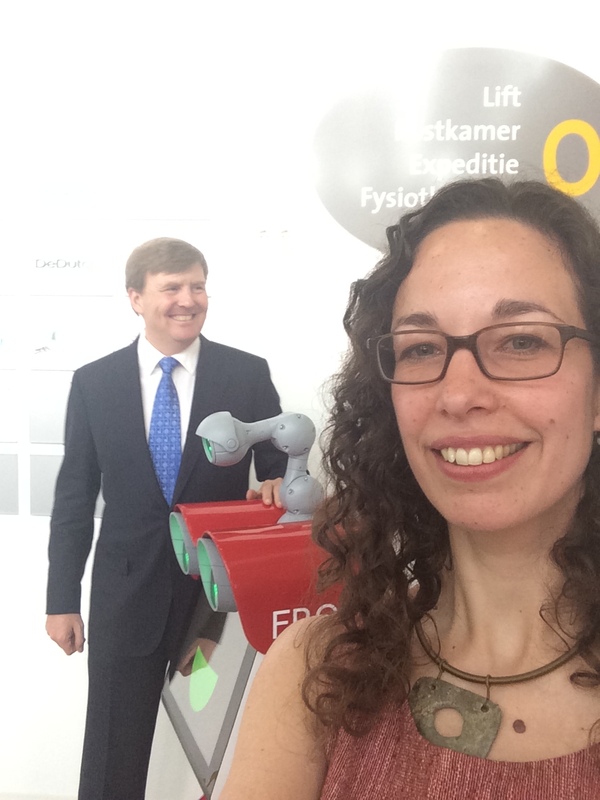 The FROG helped the KING of the Netherlands open a UT campus building! A big event on 3 April! Our super-nice King of the Netherlands, King Willem-Alexander opened the Gallery building on the campus (where our new Science2Design centre will be located!) 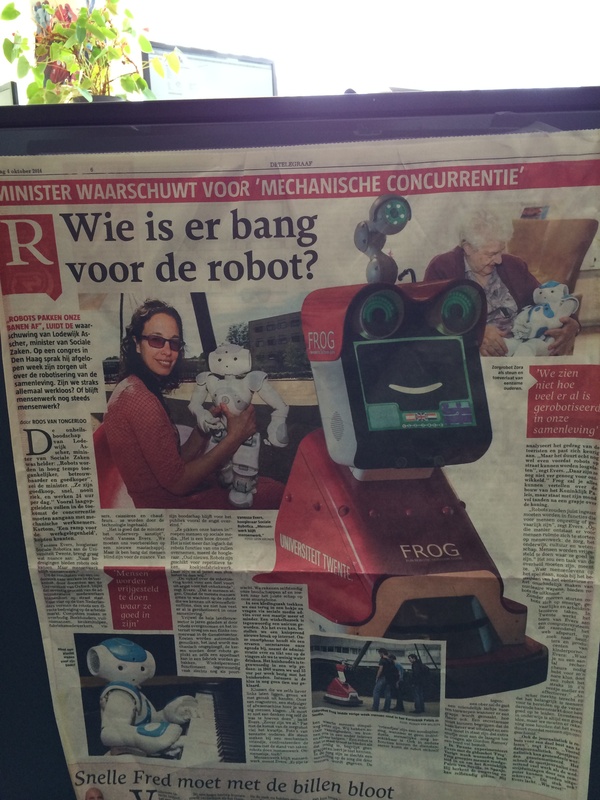 and campusrobot FROG was there to welcome him! 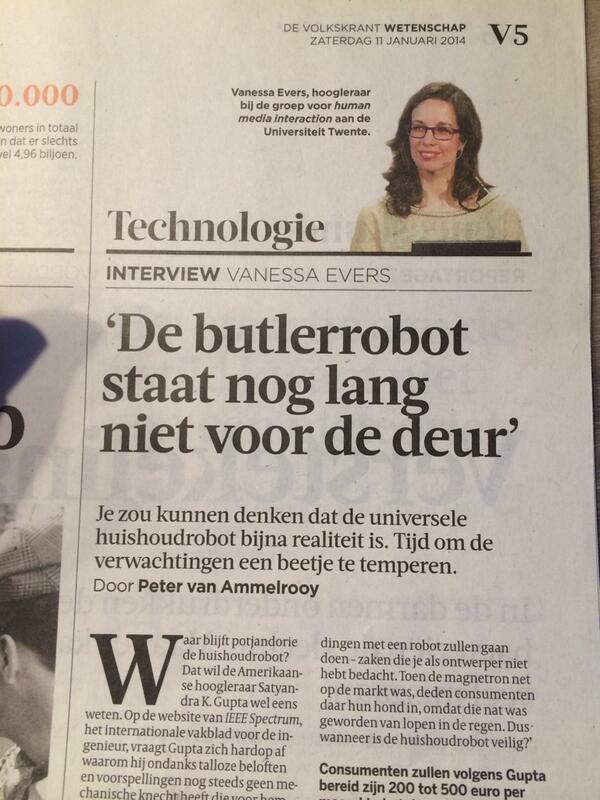 Nu.nl, Webwereld.nl, ANS, VIMEO, HCC, Nieuws.be, Headlines 24, Tubantia..